Basically, everything happens quickly here, as one building after another appears in quick succession, amid changing directions of sidewalks and roads. Each twist and turn is a parallel feature error or 180-error waiting to happen. Think fast! There are some hills on the campus, but not many, and often in the form of stairs. 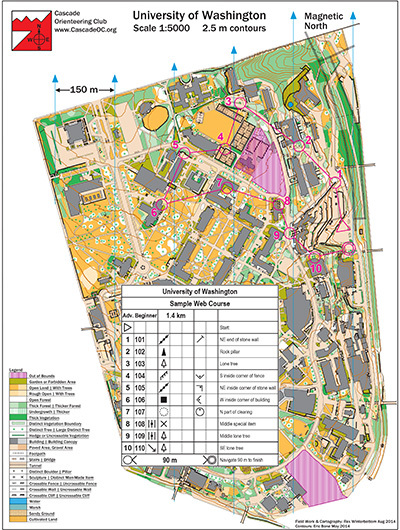 Instead, the challenge is that fast, open terrain encourages sprinting, and after sprinting all over the campus…it starts to feel really big by the end of the course.